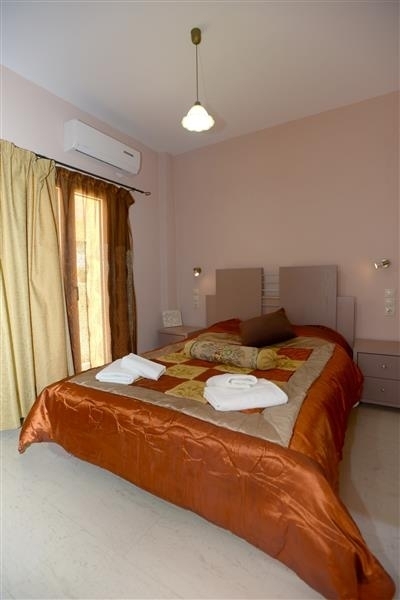 Zeus apartment is on the 1st floor with view to the mountain and consists of 2 bedrooms and a large balcony. 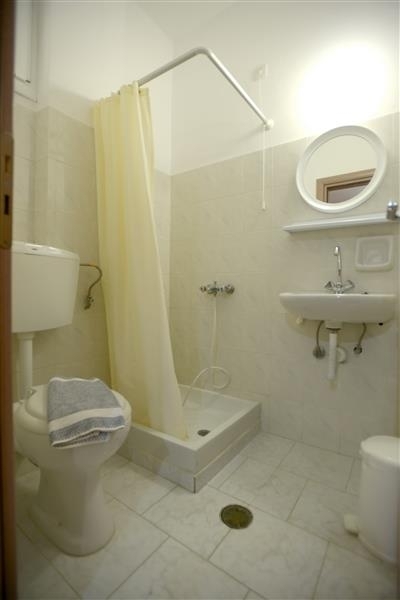 One bedroom has a double bed, bathroom, air conditioning, free wireless internet access and a fully equipped kitchen. 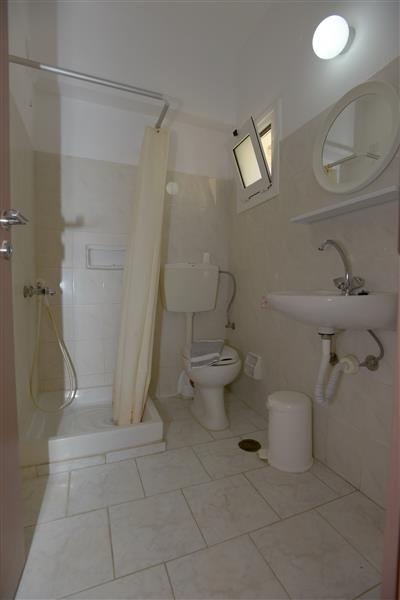 The other bedroom has a semi-double bed which can accommodate two children, bathroom and free wireless internet access. The two bedrooms are separated by an interior door. Free! All children under 5 years stay free of charge for cots. You will have to pay in cash the booking here in the hotel when you will arrive! For cancellations in the last 7 days, you will be charged the first night. 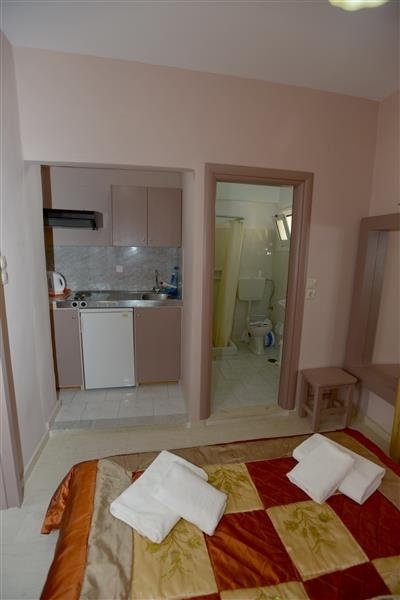 Athina studio is located on the first floor with view to the mountain and consists of 1 bedroom and a large balcony. 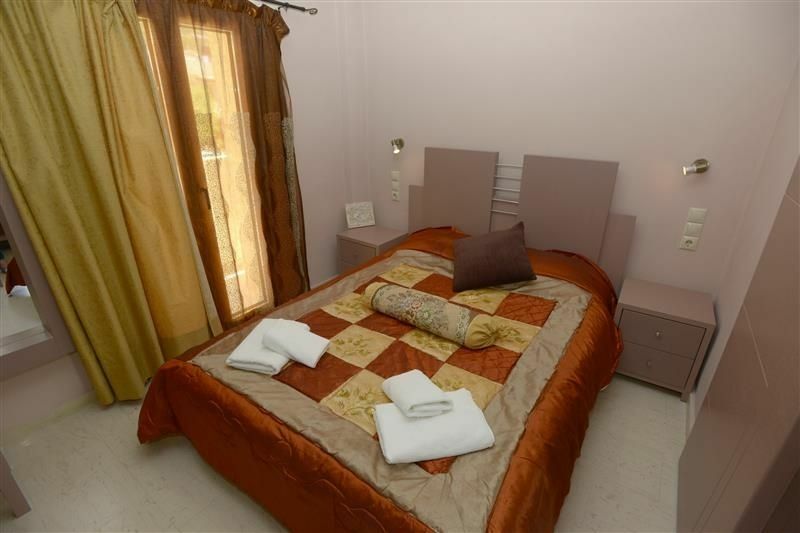 The bedroom has a double bed, bathroom, air conditioning, free wireless internet access and a fully equipped kitchen. Artemis apartment is on the ground floor and consists of 2 bedrooms with double beds and an interior door which separates each one. Each room has its own bathroom, air conditioning, free wireless internet access and rooms are looking into the back and front yard of our hotel. In one room there is a fully equipped kitchen and courtyard to enjoy your breakfast. In the other room there is a fridge and kettle. Standard rooms with double bed are on ground and the first floor and consist of 1 bedroom with balcony to enjoy your breakfast. The room has a double bed, bathroom, air conditioning, free wireless internet access, refrigerator and kettle.